Guatemala is a country full of culture, colorful handicrafts, Mayan ruins and lots of nature and it’s a great place to visit for a health holiday! I recently spend 1 month in Guatemala and I’m going to share my top-picks, favorite restaurants and must-see things to do. Most people fly into Guatemala City when they arrive to Guatemala. 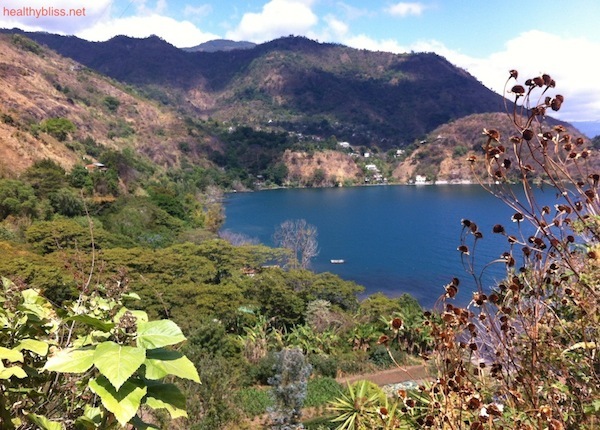 Since the quaint, picturesque town of Antigua is only 45 minutes from Guatemala City, it’s a good idea to take a taxi or arrange hotel pickup directly from the airport to Antigua and start your adventures there (it’s about $30 for a private taxi). 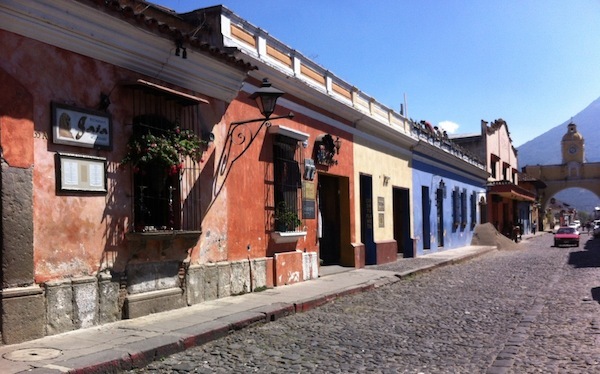 Antigua is the former capital of Guatemala and is full of Spanish architecture, cobblestone streets and many courtyard gardens behind the ancient walled streets. This is a good place to spend 4-5 days so you have time to take a tour, explore the local market, visit a nearby volcano or Mayan village, soak in natural hot springs, enjoy some of the restaurants and maybe even schedule a massage. Now that sounds like a holiday! Guatemalan decoration, handicraft, style, love! 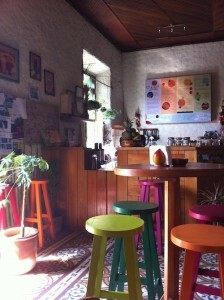 My favorite morning stop in Antigua was at Pitaya Juice Bar, across from the Antigua Gym. It’s a small but very cute place and they serve fresh juice or superfood smoothies with moringa, ginseng, flax or wheatgrass, for a healthy start to the day (Pitaya Juice Bar: 6ta Calle Poniente, #26). For lunch, I frequented Sabo Rico, an outdoor garden restaurant serving salads, juices and smoothies in a gorgeously romantic courtyard (Sabo Rico: 6a avenida sur #7). Dinners were typically made at the hostel using fresh raw foods bought at the local market and raw apple cider vinegar or coconut oil from the main health food store in town, Organica (5 calle poniente No. 6, just 1 block from the main square). 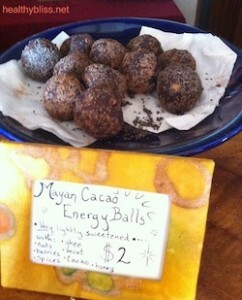 Organica also has a small range of gluten-free foods for sale. Everything in Antigua is walkable which makes it very nice as a tourist. Definitely take Elizabeth Bell’s walking tour which runs every Tuesday, Wednesday, Friday and Saturday from 9:30am to 12:30pm and meets at the central fountain in the main square. Elizabeth’s knowledge and enthusiasm over all things Antigua and Guatemala is absolutely amazing, impressive and inspiring. This was absolutely a highlight of Antigua form me; the $20 was well spent for the tour. 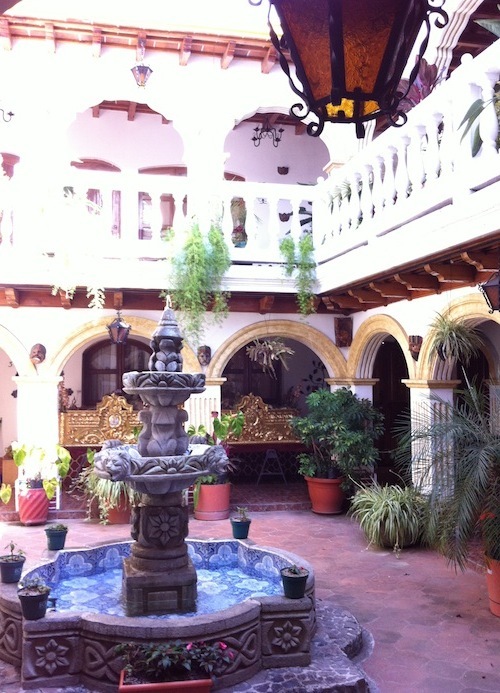 If you plan your day correctly, you can continue on your own at the end of Elizabeth’s tour at the Santo Domingo Hotel in downtown Antigua and from there, take the hotel’s free shuttle up the hill to their restaurant, the Santo Domingo del Cerro. Most likely you’ll be hungry after the tour and in daylight hours, you can enjoy all their unusual outdoor art sculptures and take in the views of surrounding volcanoes while enjoying a nice healthy salad. I had a delicious apple and watercress salad and was very happy to see that on the menu as a reasonable raw food choice. For anyone looking for a nice place to do work online (to write blog posts or update twitter feeds a-hem), the Santo Domingo del Cerro has a very nice terrace with free wifi, so you can spend the rest of your afternoon there and catch up on some work! Every Wednesday, the Kawilal Hot Springs and Spa offers a free shuttle that leaves at 9am from the Cathedral (it returns back to Antigua at 3pm). It’s a 1-hour ride to the hot springs so the free Wednesday shuttle is really the best option for tourists. The spa offers different packages with or without massage and it’s a bit expensive ($85 for hot springs and massage) for what it is and for Central American prices. For that reason, I would recommend a cheaper package using only the hot springs. The pools are still great and I fully believe in the healing powers of natural hot springs, so I personally seek them out wherever I go! This is a nice break from Antigua and a good option for a quiet afternoon soaking in the natural healing energy of thermal waters. If you have the time, take an overnight bus to the northern part of Guatemala where you will find the ancient Mayan city and UNESCO World Heritage Site at Tikal National Park. We managed to find an honest tour company to book our bus tickets directly across from Pitaya Juice Bar. I don’t remember the name, but the staff wore Lonely Plant t-shirts and we received the correct price for the bus (not always an easy thing to achieve in Guatemala!). Speaking of which, be sure to book your accommodation before arriving to Flores; otherwise you will be absolutely mobbed by booking agents trying to lure you into other hotels and various park tours. We booked online in advance directly with Los Amigos Hostel, and we arranged our Tikal sunrise tour and onward bus tickets inside the hostel, at the very back, during office hours only. Flores is known for thieves operating as tour guides preying on the weary traveler arriving at 5am; we heard more than a few stories of this during our brief 2 days there. So be careful! A great option for your first day in Flores is to rent kayaks at the hostel and paddle around the lake. It’s a wonderful feeling to get out on the water and to just glide with every stroke closer to the other side, then power-paddle back. Get to sleep well and truly early, because the the sunrise tours leaves at 4am! 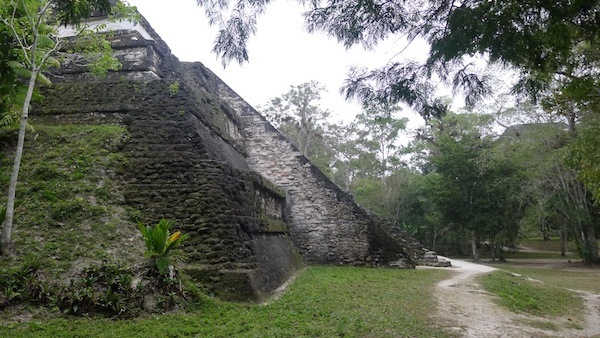 The tour takes you into the park to sit atop one of the Mayan temples and experience ‘the jungle waking up’ with sounds of howler monkeys, toucans and other birds. It’s great! A few more hours to explore the park gets you back to the hostel in early afternoon. Imagine the sounds of tropical birds and howler monkeys all around you…amazing! 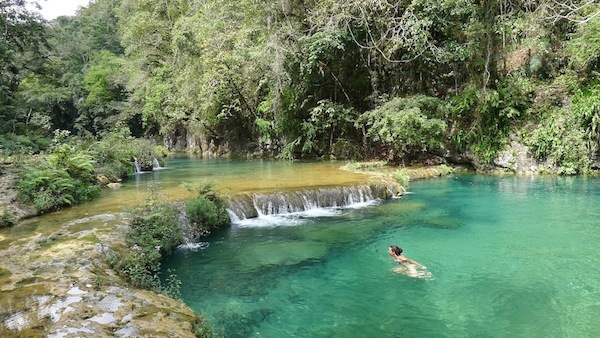 The next day, you can head to Semuc Champey, about 6-8 hours by minibus from Flores. It’s not as comfortable to travel by minibus but there is no big bus that goes to Semuc Champey. Once you get there, you will see that it is well worth the effort! 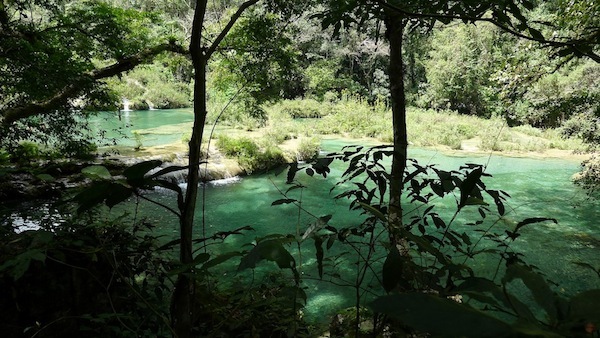 Semuc Champey is a gorgeous set of natural limestone bridges that’s located deep in a mountain gorge and covered with crystal blue-green water. You have to see it to really appreciate how magnificent Mother Nature can be. You only need one day to see the park, but many people stay at either one of the hostels for a few days just to relax and well, mainly to party. The backpacker party thing wasn’t my scene so I only stayed 2 days to see the park and do the cave tour, and I continued on my way to Lake Atilan. 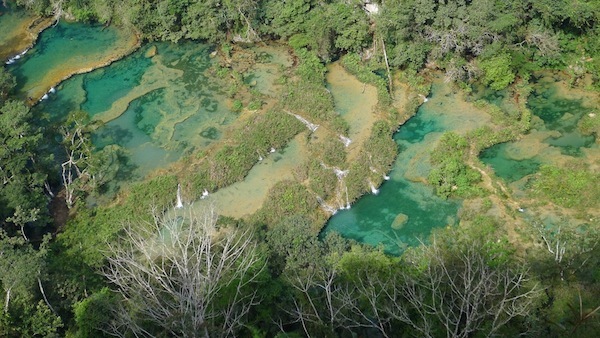 Semuc Champey…simply amazing natural wonder! 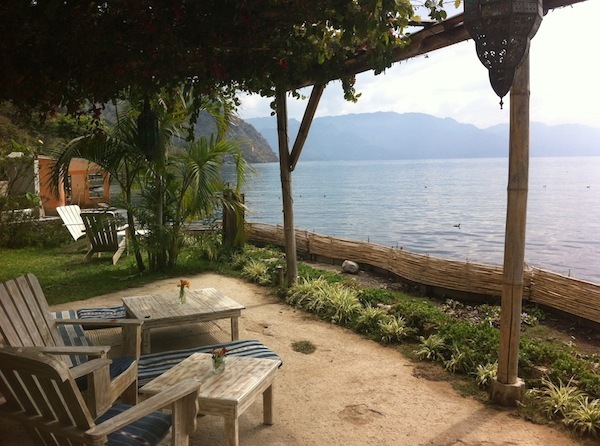 My best advice is exactly that: Save Lake Atitlan for the end of your Guatemala travels and take some time to rest, relax eat good food, or even rent a house along the lake and plan to do your own juice or water fast while there. 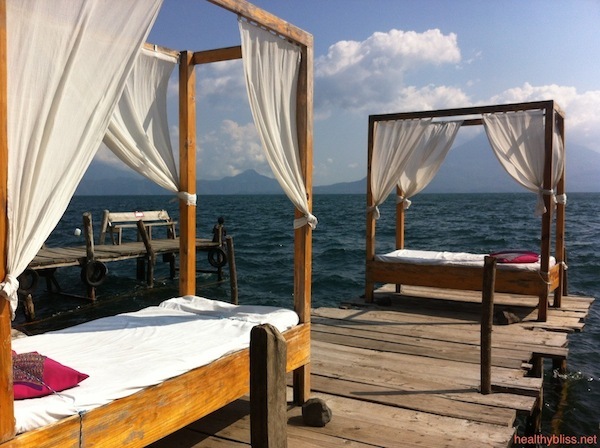 Lake Atitlan is a popular destination for yoga, healing, raw food, meditation and spiritual retreats due to its magical energy field. It’s claimed to be one of the worlds’ energy vortexes, alongside the great pyramids and Macchu Picchu. The lake itself is surrounded by volcanoes, and when we were there, San Pedro volcano was visibly active, which was just amazing to see! Many of the health-enthusiast tourists stay in the village of San Marcos on the lake. In my opinion, it was a bit too hippie and we searched for something a bit more scenic and peaceful, with good views of the lake, good internet and decent sense of security. We found exactly that at Sakcari Hotel in San Pedro. 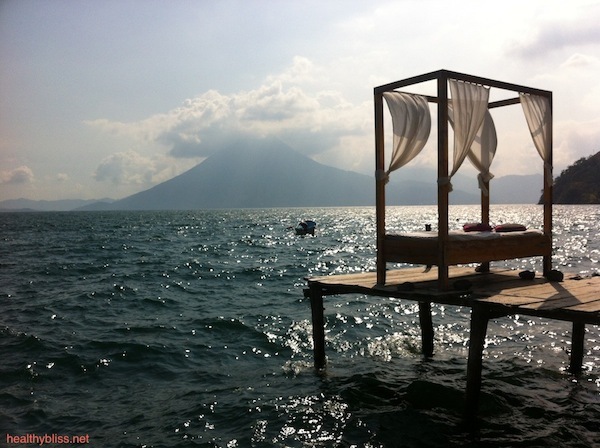 While not cheap by Guatemala standards at $40 per night, Sakcari was everything we were looking for – it was quiet and on the lake with incredible views from the room and a real feeling of nature. 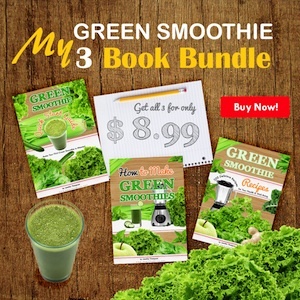 Nearby in the village, we could get fresh fruit, fresh juice and smoothies every day. 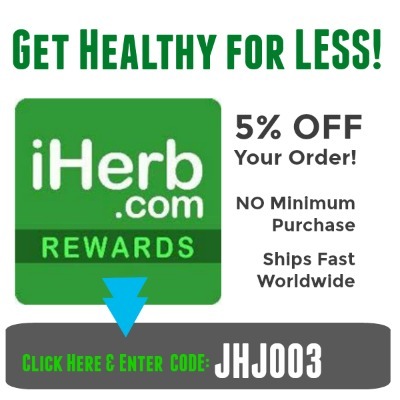 There is also a great health food store in San Pedro; it’s small but well-stocked with herbs, supplements, natural body products and some dried organic nuts and seeds. What more in life does one need? Fresh air, views of nature…this in and of itself is a cleanse! 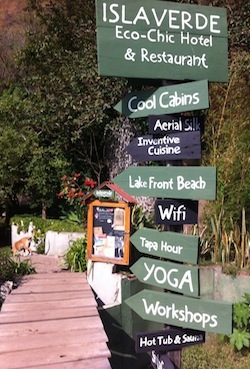 There were a few other highlights on the lake for healthy eating and raw food, both in the village of Santa Cruz. The first, Isla Verde Resort, is a beautiful place with a gorgeous restaurant overlooking the lake. They are known for their ‘slow cooking,’ but we found that they may have taken this term a bit too far…by adding ‘slow ordering,’ ‘slow service,’ ‘slow preparation,’ and ‘slow to settle your bill.’ In short, the entire experience was SLOW. But, they did have some nice juices, salads and a great homemade kombucha drink that is worth waiting to order, receive and pay for! The other place is also in Santa Cruz, but in the opposite direction from the dock. When you exit the boat taxi, walk to the right and follow the maze of planks and boardwalks (which is really fun by the way! ); after about 30 minutes you will arrive to Villa Sumaya. Villa Sumaya is a yoga and meditation retreat center and it’s a great place to consider staying for a few nights if your budget allows. 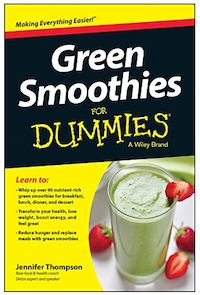 Otherwise, do what we did and visit during the day, enjoy a delicious fruit smoothie, sample their raw cacao superfood snacks and take a few raw energy balls home to nibble on later. 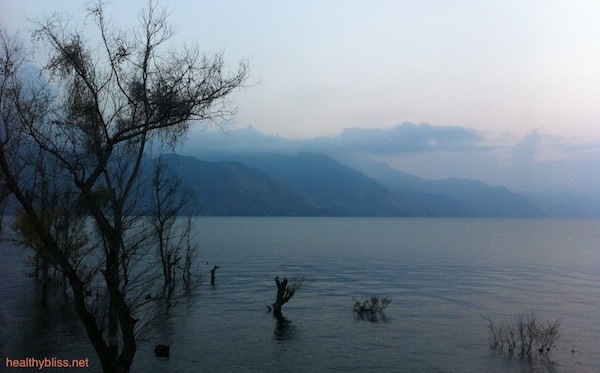 Whatever extra time you have in Guatemala, definitely spend it at Lake Atitlan. The views of the lake and surrounding volcanoes change with each day’s cloud formations and sun, a real-life painting waiting for you to slow down and simply enjoy its natural canvas. It’s a place that really grows on you after awhile. This is something worthy of noting and needs to be addressed for your personal travel safety. While absolutely nothing happened to use during our 4 weeks in Guatemala, we did meet a few tourists who had been robbed, mugged or ripped off. Some important things to remember: Do not show your iPhone or smartphone in public areas; Do not wear expensive jewelry; Carry a purse that hangs across the body from shoulder-to-hip and not on one shoulder only; Do not carry valuables at night; Do not carry a lot of cash at any time; Ask around at several travel agents to compare prices before booking anything. Again, we had nothing happen to us, but we heard quite a few stories. Personally, I always lock all valuables in my suitcase in the hotel room at all times. The temptation for a cleaning lady or other hotel staff to look around is just too great, so why take the risk? Once you get into the habit of doing that, it becomes very easy and it’s much ‘safer’ than a front desk safe where other staff may also have a key. 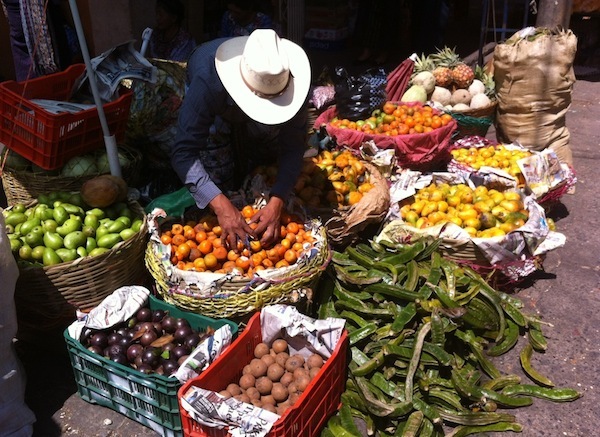 You can definitely enjoy Guatemala without any problems if you follow these simple safety tips. With so much to see and enjoy; it’s a country worthy of a visit!